Coalspur Mines (TSE:CPT) lost almost 10% of its value on Friday on double usual trading volumes, after issuing a regulatory update about progress on its Vista coal project in Alberta. The Vancouver and Perth-based company said in a statement the Canadian province's energy regulator (AER) will hold a formal regulatory hearing on November 25 this year to address concerns raised by First Nations groups and Tourmaline Oil Corp.
Coalspur said the groups have been assigned "intervener status" and since AER is only required to render its final decision within 90 days of the hearing (early March 2014) construction and ultimately production at the mine is expected to be put back around six months. 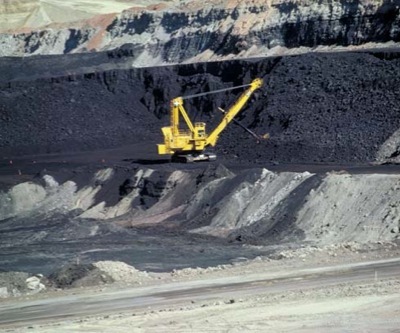 Assuming regulatory approvals are granted, construction of the mine near Hinton Alberta is expected to commence in the second quarter of 2014, with first production of coal now towards the end of 2015. Vista leases cover approximately 10,000 hectares and has the potential to become one of the largest thermal coal mines in North America reaching output of 12 million tonnes per annum. Phase one of the project to reach half that capacity will cost $458 million. By early afternoon Coalspur had recovered somewhat and was trading down 7.5% at $0.245 on the Toronto big board. The $168 million counter which is also listed on the ASX is showing steep losses for 2013 – it is down 67% year to date.